Putin. 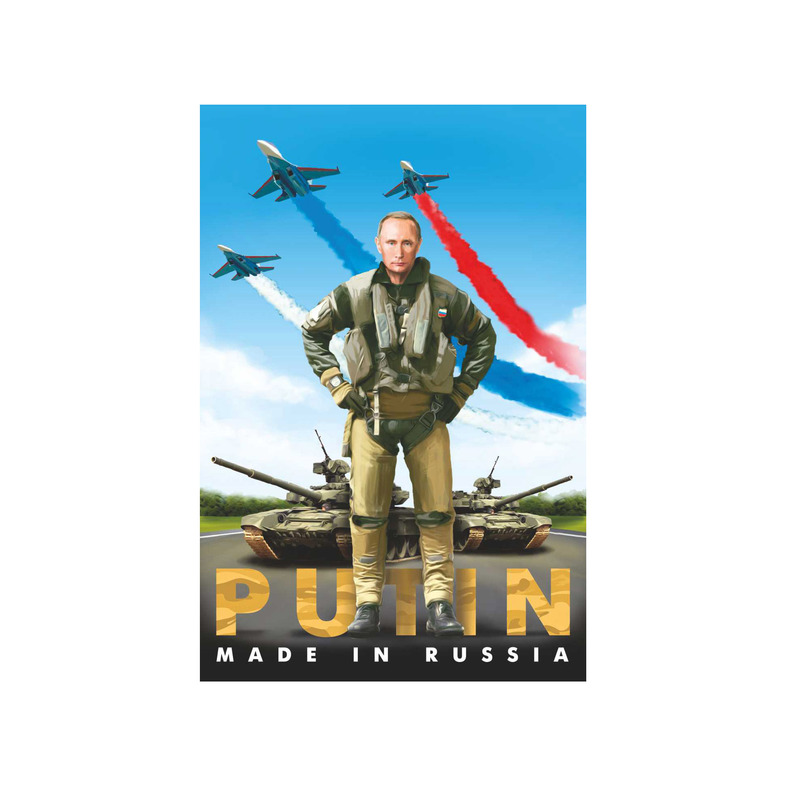 Made in Russia Magnet (big), 3.1" x 2.1"
Magnet with the image of the President of the Russian Federation Vladimir Putin with tanks and jets in the background and an inscription "Putin. Made in Russia". Nesting Doll (Matryoshka) Keychain Russian Traditional Souvenir, Height - 1.5"
Vladimir Putin in Glasses Image Changing Magnet, 3.5" x 2.4"
Mini Matryoshka Keychain, Height 1"
Our President Vladimir Putin Magnet, 2.1" x 3.1"